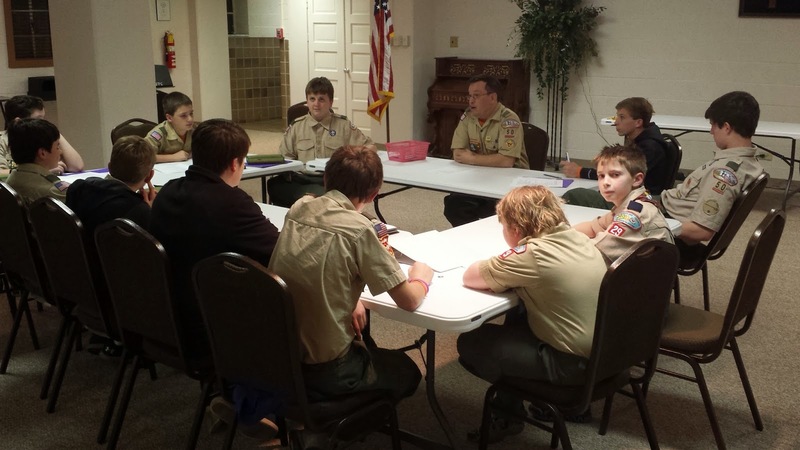 This evening, Troop 50 continued its work toward completing Family Life Merit Badge. The merit badge, which is among those Scouts are required to earn as they work toward the rank of Eagle, teaches Scouts to recognize the important role they serve in their families, the benefits of healthy family conversation, how Scouts can help solve family problems and avoid conflict, and how Scouts can better serve their families through regular chores and special projects. Troop Committee Chair Rob Stanford led the merit badge session. Several Webelos Scouts visited the troop meeting with intentions to cross over in April also sat in for the merit badge discussion. 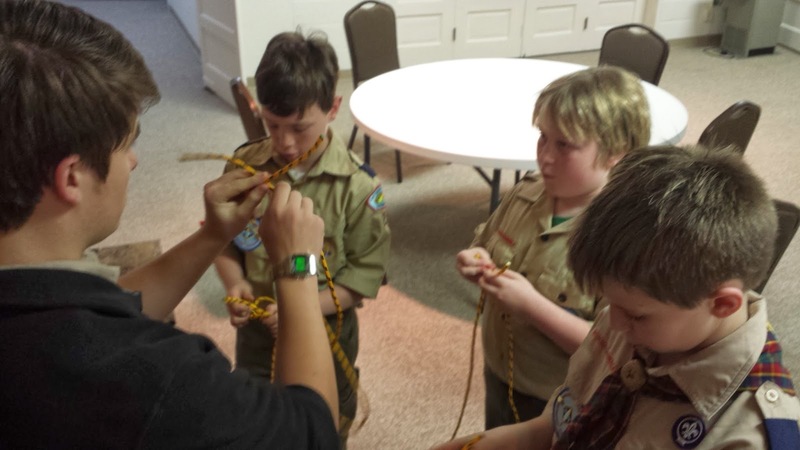 Following the merit badge class, Scouts brushed up on their knot-tying skills through modeling the "EDGE" — Explaining, Demonstrating, Guiding, and Enabling — method. Senior Patrol Leader William worked with Webelos Scouts on basic knots like the square knot and bowline, while Scoutmaster Andrew Baird worked with older Scouts on advanced knots like the sheet bend and hurricane bowline.